Econet has launched an innovative short-term motor vehicle insurance service branded EcoSure Moovah that will offer unparalleled value and matchless convenience to the motoring public. The service will offer vehicle insurance cover, ZINARA and ZBC licence discs – plus free delivery of insurance cover notes and licence discs to the customers’ premises at no extra cost – all payable directly from the customer’s mobile phone, the company has said. Speaking at the launch of the product in Harare on Wednesday (July 18), Econet’s Cassava FinTech Zimbabwe CEO Mr Eddie Chibi said EcoSure Moovah was set to disrupt the short-term insurance industry for the good of motorists through its attractive value proposition. “This innovation, which follows in the footsteps of our phenomenally successful EcoSure Funeral cover and our existing pioneering, mass market products, is sure to shake the industry for the good of the motoring public,” Mr Chibi said, referring to EcoSure, the company’s popular mobile funeral insurance product, which has so provided cover to over 2 million Zimbabweans. “Not only will EcoSure Moovah offer choice and flexibility through the option of customers to pay their premiums monthly, but it will also offer incredible value addition through bundled benefits of up to $5.000 at very competitive and affordability premiums,” said the Cassava boss. Cassava FinTech is the Econet group’s business in charge of rolling out financial technology and other digital services. Among Cassava’s product portfolio is the award-winning mobile money service EcoCash, which now boasts 8 million customers in Zimbabwe alone, and has been lauded for its immense contribution to financial inclusion in country. Mr Chibi said EcoSure Moovah would leverage economies of scale within the Econet group, allowing it to offer a host of unique bundled benefits to its users, who would enjoy great convenience on many levels. “If a motorist moves to Moovah today, they will have the convenience of carrying out the entire transaction of insuring their vehicle from the comfort of their home or office and, in addition, they will have the option of having the insurance note and licensing discs delivered to their door step,” said Mr Chibi. He added that customers could elect to collect their documentation from a wide range of outlets, including the nearest Econet Shop, Agent or Steward Bank branch of their choice. “This is why we are saying EcoSure Moovah is truly ‘Your Cover On The Go!’,” Mr Chibi said. He said motorists would have multiple payment options to renew their vehicle insurance, on their mobile phone via USSD, using a mobile App or on a desktop via the web. “We have added so much value not only to our comprehensive cover package, but to the statutory Third Party cover as well, such that we now say ‘Third Party has never been this comprehensive’” said Mr Chibi. “Our Third party cover customers are going to experience a whole new world of motor insurance cover, such that there is going to be no reason for anyone to break the law by driving an uninsured vehicle on our roads,” Mr Chibi said, describing the new product as a “game-changer”. According to ZINARA (the Zimbabwe National Roads Authority), only less than half of the estimated 1.2 million vehicles on Zimbabwe’s roads are insured. Among the different reasons reportedly given by motorists for not ensuring their vehicles, or falling behind in their premiums, is the inconvenience associated with the current renewal options. 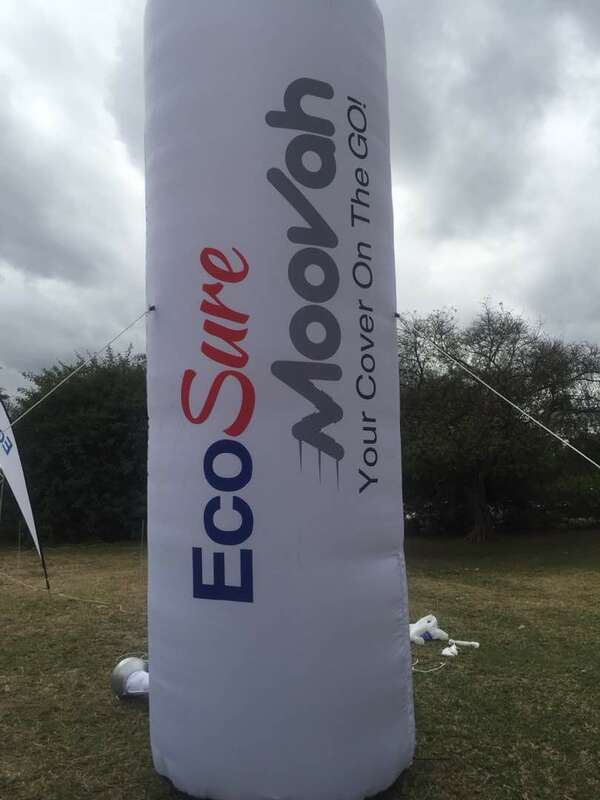 But speaking at the same event, Cassava FinTech Zimbabwe Chief Commercial Officer Mr Givemore Jojo said EcoSure Moovah offered easy and hassle-free payment options for motorists, to ensure they are always covered. The launch of EcoSure Moovah will be a step in the right direction in pursuit of the company’s vision to provide universal insurance cover and offer what it calls “insurance inclusion” for all Zimbabweans. The company believes it is on course to help grow the low insurance penetration levels in the country to the target of at least 20% set by the Insurance and Pensions Commission of Zimbabwe. Mr Chibi said Cassava would continue to harness technology to deliver insurance for every single person’s needs in Zimbabwe. He said to access EcoSure Moovah, all that a motorist needed to do was dial *901# and get covered.